As if we needed more depressing news with the social upheaval, foreign policy failures and a crushing national debt that has just topped $18 trillion, the International Monetary Fund has noticed that the U.S. is no longer the world’s No. 1 economy. We have slipped to No. 2, behind China, a Communist dictatorship. China becoming the world’s largest economy comes as no surprise. In the past two decades, as China moved away from a centralized economy to a communist version of free-market capitalism, it was no longer if China would become the world’s largest economy but when. it’s official. The Chinese economy just overtook the United States economy to become the largest in the world. For the first time since Ulysses S. Grant was president, America is not the leading economic power on the planet. It just happened — and almost nobody noticed. 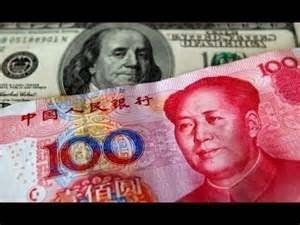 “Our money” is now “their money” because American consumers and businesses buy lots of Chinese products and pay for them in dollars, leaving China with trillions in our currency. They use our money not just for military purposes but also to buy U.S. bonds to underwrite our annual deficits. That is a dangerous combination, which is why I have said the greatest threat long term to U.S. security is China, not radical Muslims.